Tokushima old province of Awa : Le chemin de l’éveil. 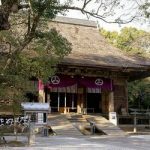 Without going into detail, the pilgrimage is generally done (It’s not an obligation) in a clockwise direction from the Ryōzen-ji Temple 1 in Tokushima Prefecture to Temple 88 Ōkubo-ji in the Kagawa Prefecture. Then to finish the loop, the pilgrim (henro or aruki henro, the walking pilgrim) go again to the temple No. 1. 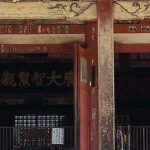 On these pages, you will find all the information about the 88 temples of Shikoku pilgrimage. The prefecture of Kochi, formerly Tosa Province (pronouncing Tossa) represents the path of asceticism. It is the most feared prefecture of walking pilgrims (aruki henro) during the Shikoku pilgrimage. Indeed if it has few temples, it is the longest to go. 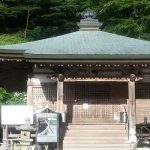 in Ehime Prefecture (formerly Iyo Province) 25 temples are located, including Yokomine-ji, which is known for its difficult access.